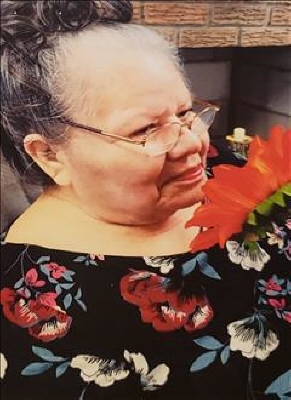 Marie Barefoot age 76 departed this life on Thursday January 31, 2019, in Seminole, OK. She was born June 12, 1942 in Wewoka, OK to the late Simpson Barefoot and Melizzia Tiger. She was a graduate of Sequoyah High School. Marie was a member of Sand Creek Eufaula Church. She worked for Seminole Nation Gaming in the maintenance. She enjoyed working at the Casino and going to church. Preceding Marie in death are her parents, brothers; Cecil Harjo, Charlie D.Harjo and sister Imogene Harjo. She is survived by numerous nieces, nephews, cousins and other relatives and friends. with Pastor Houston Tiger and Jason Tiger officiating. Funeral service will be 1:00 PM Tuesday, February 5, 2019 at Sand Creek Eufaula Church and burial at Tiger family Cemetery. Pastor Houston Tiger and Jason Tiger will officiate. Pallbearers are Sand Creek Eufaula Baptist Church members. To send flowers or a remembrance gift to the family of Marie Barefoot, please visit our Tribute Store. "Email Address" would like to share the life celebration of Marie Barefoot. Click on the "link" to go to share a favorite memory or leave a condolence message for the family.